...intelligence event, for its work with the Satellite Sentinel Project (SSP). The SSP, a project initiated by actor George Clooney with partnerships between the Enough Project, the Harvard Humanitarian Initiative and DigitalGlobe, among others, calls attention to human rights violations by using satellite imagery to prevent mass atrocities in Sudan and South Sudan before they occur. "We're honored to receive this award with the Satellite Sentinel Project and the many caring partners devoting their time and resources to the Sudans," said Jeffrey R. Tarr, president and chief executive officer of DigitalGlobe. "Our continued partnership with this truly selfless group of organizations is a priority for us, and together we hope to continue making a meaningful difference for the people of that region." Combining on-the-ground data and intelligence from the SSP and its partners with superior satellite imagery collected and analyzed by the experts at DigitalGlobe, the team monitors the border between Sudan and South Sudan to assess human security situations, identify potential threats to civilians, and detect, deter and document war crimes and crimes against humanity. A picture may be worth a thousand words, but in the hands of an expert analyst who can provide context and insight, it can be worth infinitely more. DigitalGlobe's team of geospatial analysts is based in Longmont, Colorado, and has supported analysis efforts since the SSP's launch of its pilot phase in December of 2010. DigitalGlobe keeps a constant eye on the world to provide early insights into the business, market, military, environmental and political changes that impact people worldwide. 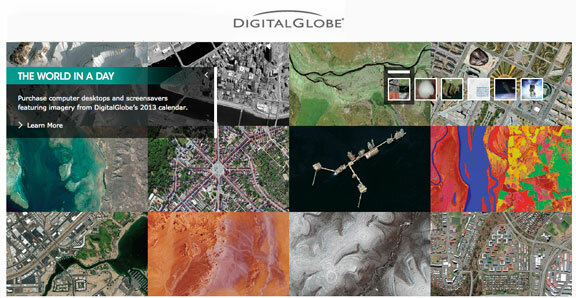 Ultimately, DigitalGlobe helps give customers answers, allowing them to see the full picture. Demonstrations of DigitalGlobe's complete suite of GEOINT products and services will be taking place at the DigitalGlobe booth #1401.